The Best Equipment From Around The World. Get A Truly Satisfying Dubai Experience. Book your jet ski ride and experience maximum fun with your friends today. For a limited period time only. 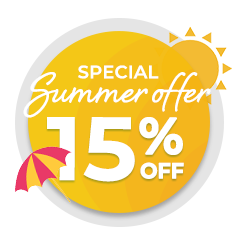 Make your reservation before offer expires. We offer the best experience in Dubai with high quality service and the best equipment. Professional, certified and experienced Jetski and Flyboard instructors/ staff to guide you through. 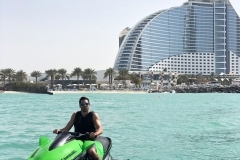 Renting a Jet ski in Dubai is the only way to see Sheikh Island and its huge super yacht as well as the Dubai Royal Family beachfront palaces. Ride in Dubai established in 2010 is an authorized Jetski rental and Flyboard company. 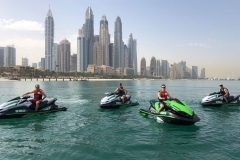 Situated in Dubai, the company has certified instructors with whom you can go on a Jetski guided tour. Enjoy the panoramic view of Dubai city’s amazing skyline while flying above water on your Flyboard. 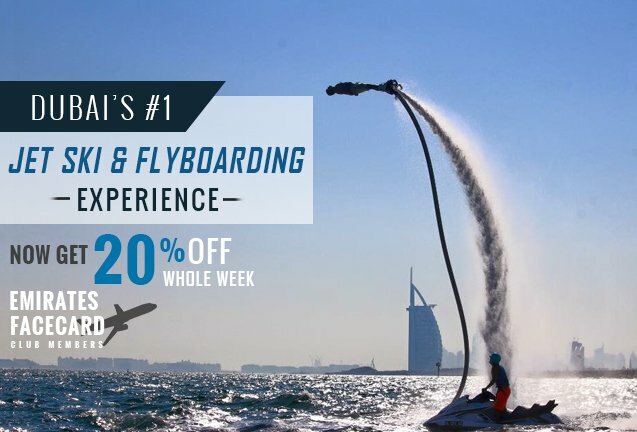 Some of the amazing offers from Ride in Dubai include the likes of Burj Al Arab Jetski Tour, Mina Seyahi Jetski Tour, Palm Jumeirah Tour, Flyboard and Corporate Event to make your time in the City of Dubai an unforgettable one! We aim to provide you with a high quality service in order to make your Jet Ski or Flyboard experience one of the best in Dubai. I was just an absolutely amazing experience! I've always wanted to try the flyboard and when I did, I enjoyed every second of it. Highly recommend Ride In Dubai for anyone looking for adventure in Dubai! 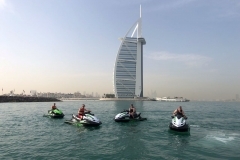 Discover the best of Dubai with Jet Ski and Flyboarding tours from Ride in Dubai. 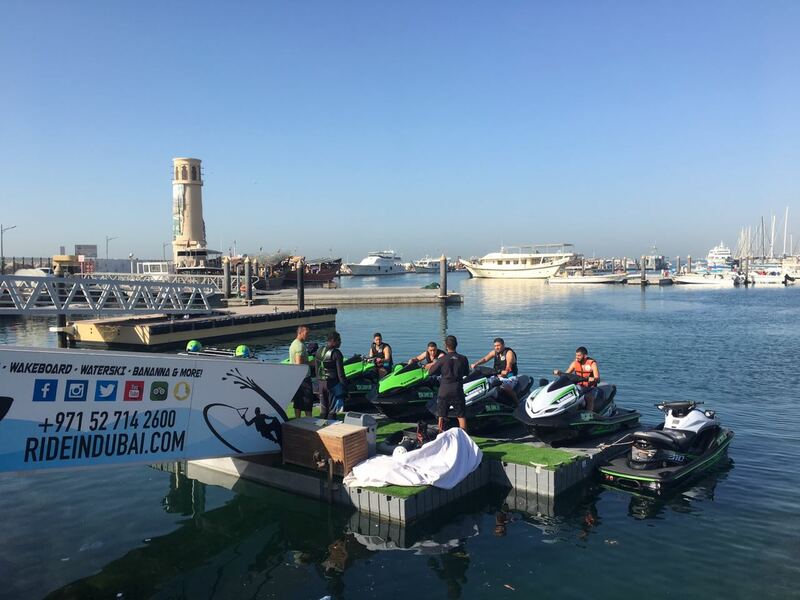 Join us at Jumeirah 4 – Fishing Harbor Main Entrance as our team welcomes and briefs you on how to go Jet Skiing and Flyboarding with our highly experienced and certified instructors. Learn to Flyboard and Jet Ski while at the same time stop and admire Dubai’s magnificent views and landscapes. Our team of instructors will lead the tour and help you harness the power, you can even go to a beach nearby and dive your way at a pace convenient to you and our team will be right there to assist you with any problems. We aim to make the experience of Jet Skiing and Flyboarding safe but in no way will we take the intensity out of the sport. With years of experience in water-sports we want to share our passion for water activities with everyone. With endless memories that Dubai may leave you with, there are no paralleled activities to Jet Skiing and Flyboarding. You can have an adventure in the middle of the Arabian Sea, carouse around the beautiful Palm Islands, witness some of the most magnificent skyscrapers in the world and see the stunning Burj Al Arab. We offer the best equipment on the market. 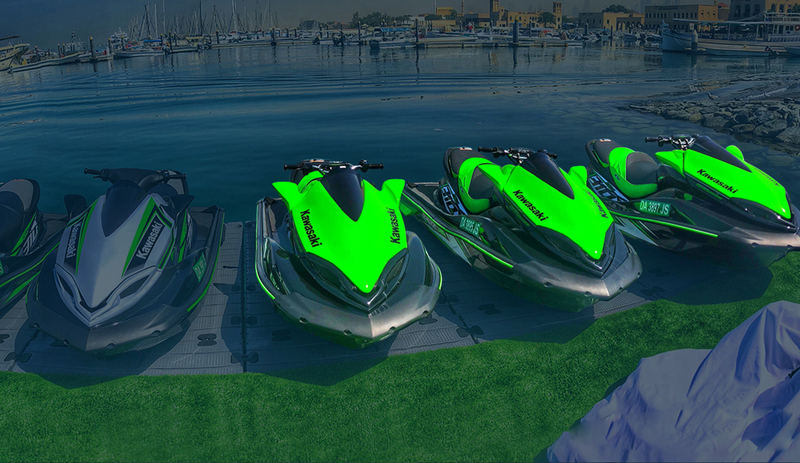 Our brand new jet skis have been upgraded with our quality service policy. It seats two persons, incorporates the latest break and reverse technology, and is 1500cc with a lighter hull. Ride in Dubai wants you to live some of the most unique moments life has to offer. 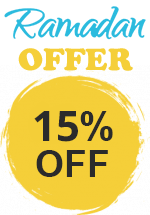 Our bespoke tours will accommodate the number of participants of your choice, time duration and the places that you want to see. We offer packages for corporate tours, team tours and solo rides. It is but a magical experience to enjoy the incredible feeling of fun, speed and freedom. 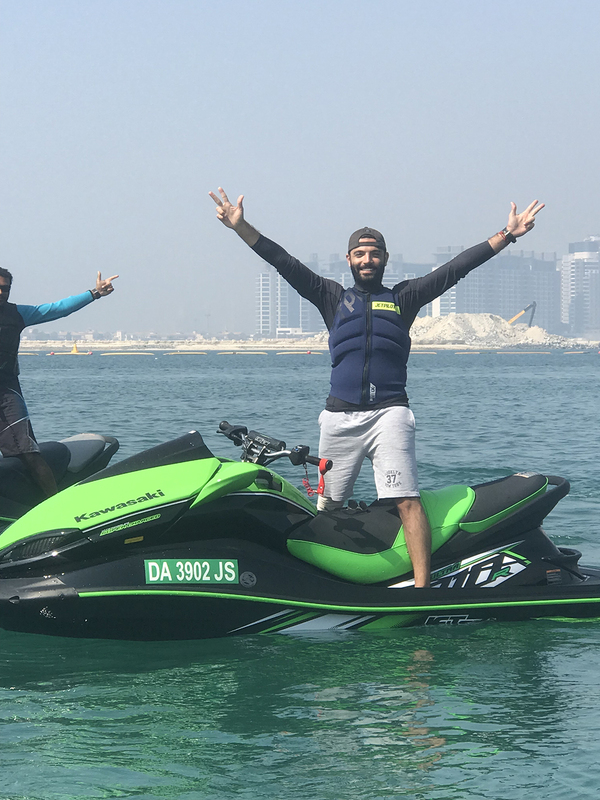 Our Jet Ski sessions are personalized to suit your demands and our expert instructors will teach and assist beginners, intermediates and even professionals and lead the tours in Dubai. Our Flyboarding tours can also be tailored to suit all levels and competencies. We teach first timers to professional Flyboarders using the newest equipment so you can be certain you are experiencing the best that Flyboarding has to offer. Witness the exclusive landscapes, the Dubai Skyline and the Atlantis, each displaying a unique view of the coast and city from the sea. We make the best effort to ensure you have the most amazing experience in Jet Skiing and Flyboarding that will give you a lifetime of memories to treasure. 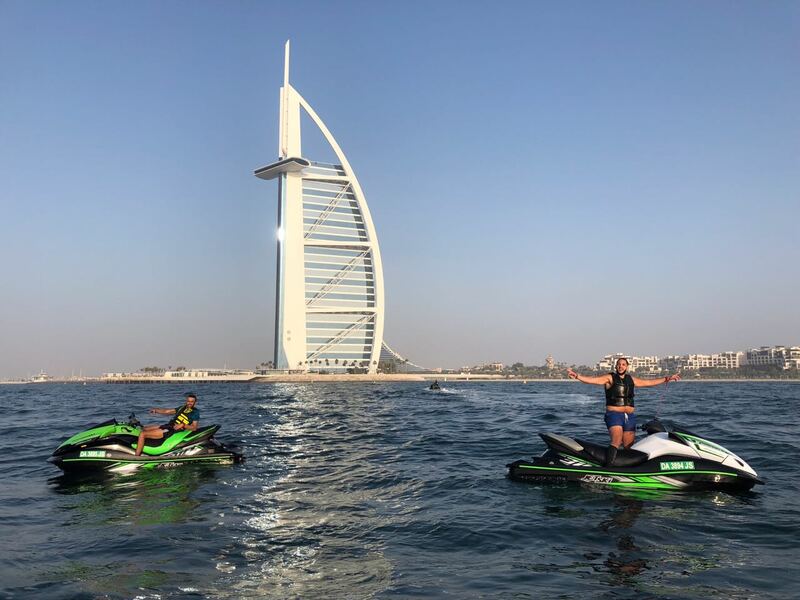 If you're looking for a thrilling experience with your friends, whilst enjoying the incredible views and locations of Dubai then jet skiing is the perfect remedy. Whether you're looking to pace yourself and slowly cruise the scenery or go at speed and enjoy the waves you can enjoy both with us at Ride In Dubai. With a multicultural team that speak over 5+ languages we're able to accommodate you and all your special requirements to make your jet ski experience unique. We'd be happy to assist in both corporate and individual celebrations such as birthdays and even give that special someone an occasion they'll remember. 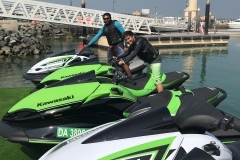 Being in Dubai for over 5+ years we have experience all types of clientele and are proud of the reputation and image we have developed ourselves in Dubai & across the Middle East as the leading jet ski provider. 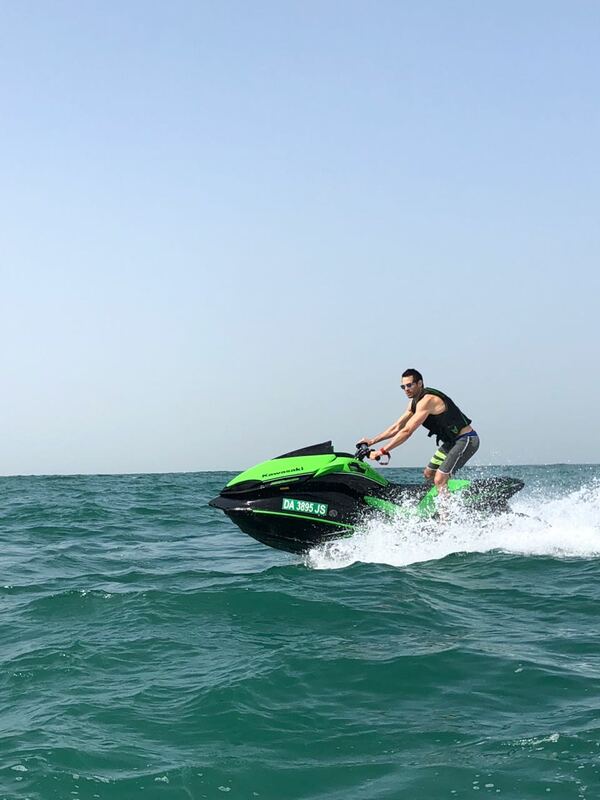 Throughout the various seasons and weathers of Dubai you can thoroughly enjoy jet skiing to the maximum, with majority of the year having beautiful sun & hot weather you can be sure that your day will be fun filled. 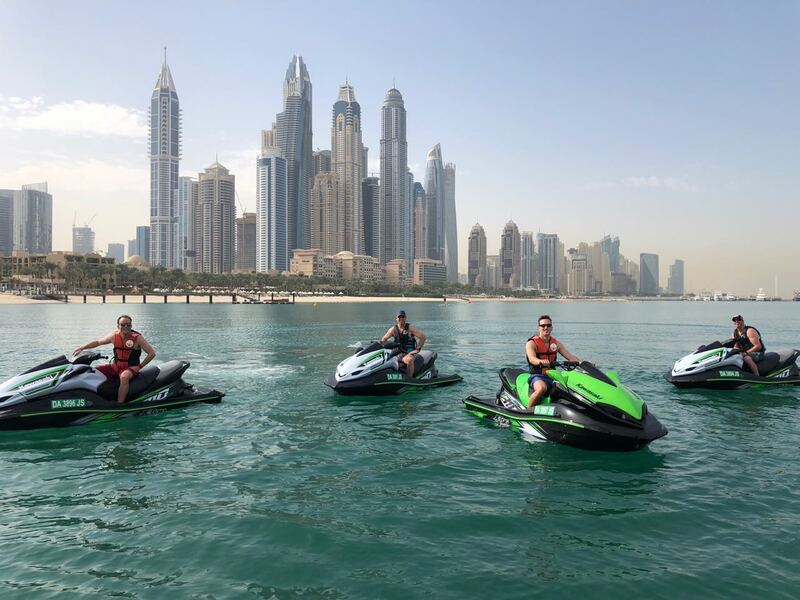 We'd like to thank-you for visiting our website; feel free to contact us today when discussing your requirements for your jet ski experience in Dubai and we'd be happy to assist making your memories special. Most people like sightseeing when they visit a city or like to try the food or go shopping, but then there are those for whom the norm is just not an option, those who seek adventure and fun, and Ride In Dubai is just the place to be for thrill seeking visitors in Dubai. 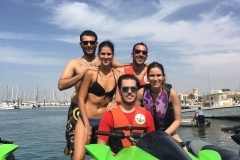 Our Jet Ski rental in Dubai is not only fun and adventurous but also safe. 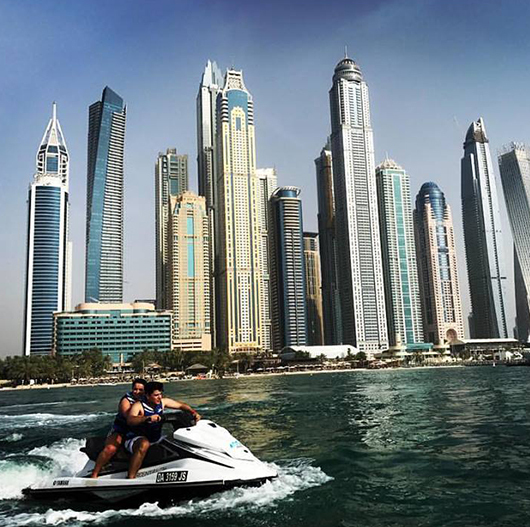 If you’ve been wanting to rent a Jet Ski in Dubai but are worried for your safety, then we are just the place for you to forget your worries and enjoy that adrenaline rush while you enjoy the Dubai waters! While everyone thinks of adding the desert safari in their list of things to do in Dubai no one really thinks of adding Jet Skiing in Dubai, but take it from the horse’s mouth, your holiday in Dubai will not be complete if you did not Jet Ski in Dubai. The fun is unlimited at Ride In Dubai and it is also the ultimate way to see the city’s coastal sights. For residents, it’s just one more amazing watersport to add to your summer bucket list. 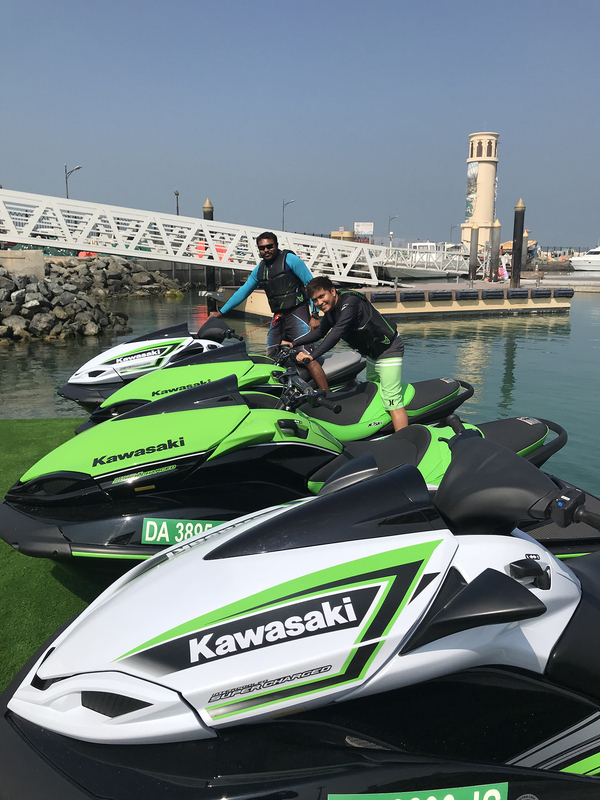 With certified and professional instructors, the best equipment from around the world and the most fun watersport combo’s and options to choose from, Ride In Dubai is a one stop destination for ultimate fun. 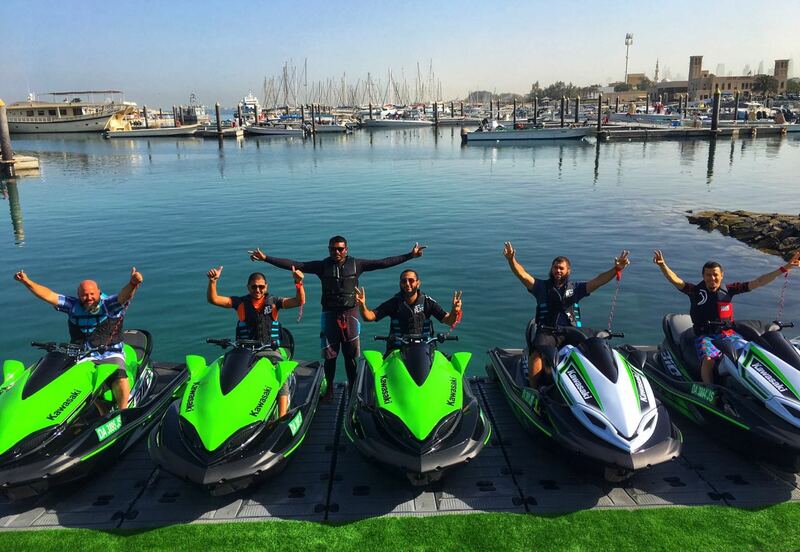 The day you went Jet Skiing in Dubai is bound to be the best part of your holiday. Even for those who prefer to go sightseeing, this is the perfect opportunity for you to see Dubai from another perspective. 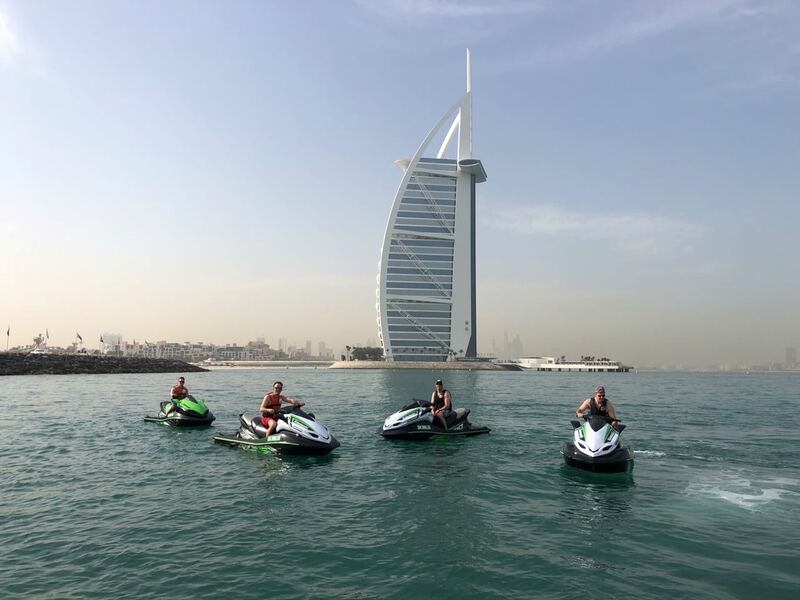 The Burj Al Arab Jet ski tour gives you a chance to admire the exceptional architecture from a different side. 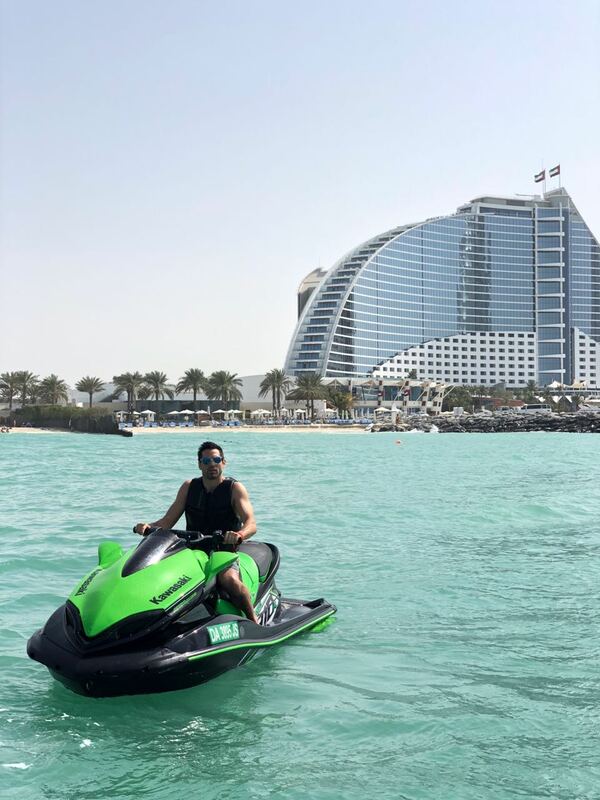 The Mina Seyahi Jet ski tour, allows you to enjoy the beautiful Jumeirah beach view; and the Palm Jumeirah Jet ski tour allows you to see the most beautiful spot in Dubai while being far away from the swamp of tourists on land. So what are you waiting for? 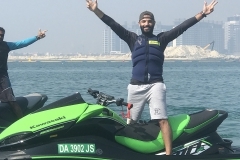 Book your Jet Ski in Dubai today!